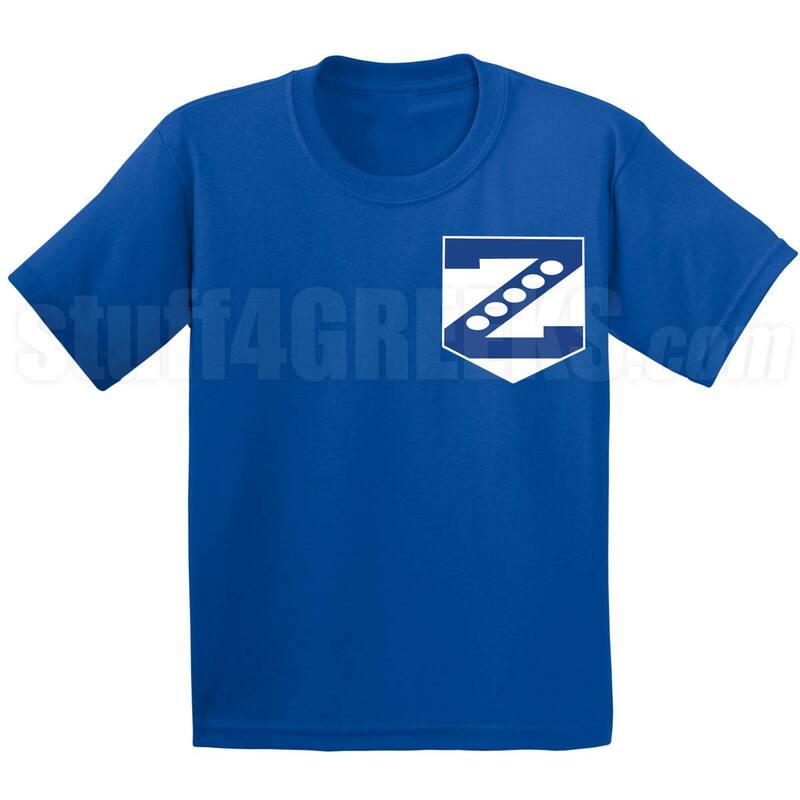 A royal Zeta Phi Beta faux pocket t-shirt with "Pearls on Zeta" design on the left side of the chest. Please note that the pocket is not real and is an embroidered illusion. This design is screen-printed.